Steve Riegel z Colorado Springs w USA ukończył naświetlanie rodziny analem. Rejestracja co godzinę, od 7:00 do 15:00. Czas realizacji projektu: 1.01.2016 - 31.12.2016. Poniżej, na prośbę autora, zamieszczamy rezultat jego pracy. 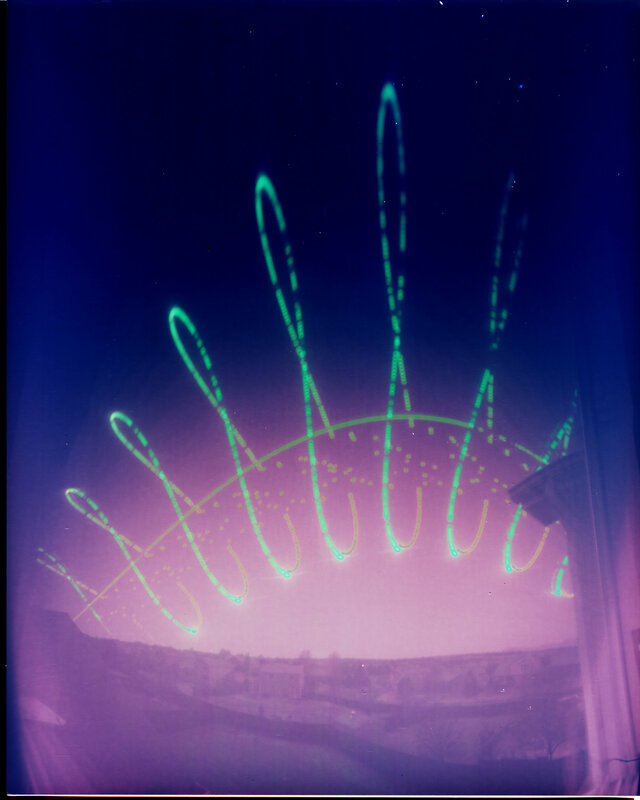 Steve Riegel (Colorado Springs, CO, USA) finished an analemma for 2016. He was able to capture the figures from 7:00 in the morning to 1:00 in the afternoon, and partial figures for 2:00 and 3:00 in the afternoon. Analemma shot from 1 Jan - 31 Dec 2016 on an 8x10" sheet of black and white photo paper using a hemi-cylindrical focal plane camera. Picture used with author's permission.